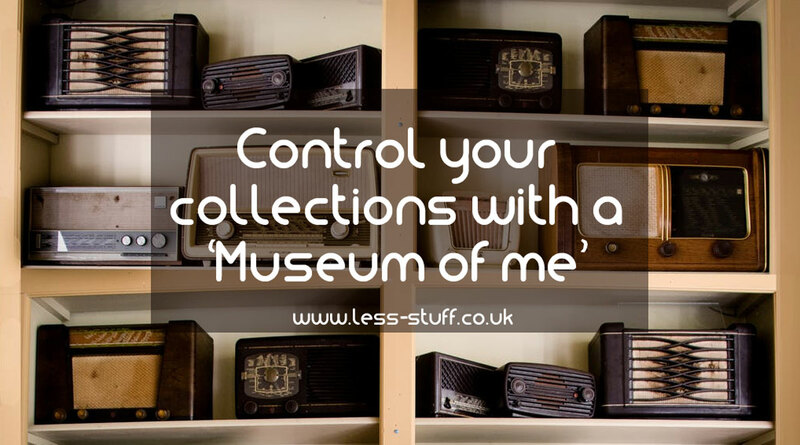 Over in the less-stuff Facebook group we have been talking about collections and Donna came up with the idea of a Museum of Me. It is incredibly easy to start collecting something; you simply keep buying more of the same type of thing. What makes collections get out of control for me are the additions from friends and family. Because social etiquette often dictates the need for a gift, birthdays and Christmas are made easier for the giver if the recipient collects something. I collect a particular type of vintage Denby crockery called Gypsy. It is 40 years old and most of my collection is in daily use. I do not need any more Gypsy Denby and I can ignore it when I see it for sale now. The other thing I collect is depression glass, which is low quality, coloured glassware made to cheer people up in the Great Depression and later. I like the objects and I like the idea of them too. It is still generally pretty cheap to find in charity shops and I have lots of it. A friend of my mums found out I like it and started hunting for me in the smaller charity shops in Cornwall. My collection is now far too much to keep out on display, especially with the destructo cats at large. To avoid the risk of getting a 6 ft tall fluffy dinosaur to add to your collection you need to tell people to stop giving you things. I have a lot of strategies to avoid unwanted gifts ranging from lying, to setting up ways for the gifts to be ‘accidentally’ given away or broken. The very best way to avoid unwanted additions to your collection is to tell the truth. Tell people you have run out of room to store things. You have loved all the china cats/porcelain pigs/WW2 submarine replicas they have given you in the past but you have enough now. 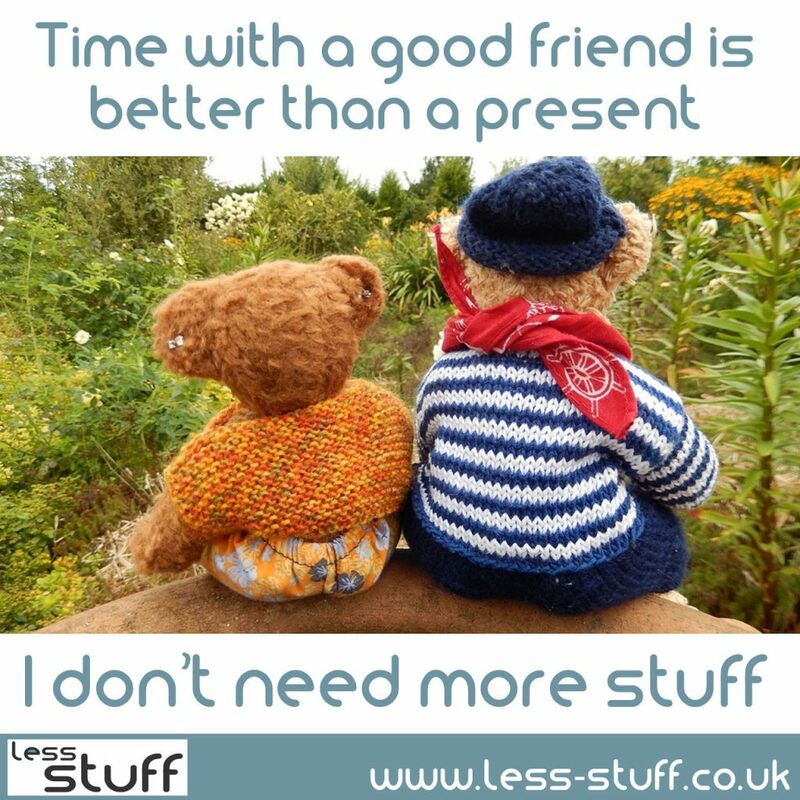 Suggest something consumable as an alternative to cluttery gifts or even better go out for a cup of tea with them. Why are you keeping it all? Do you have any elements in your collection that you don’t really like that much? Is it possible you are keeping some because they fit with the group, not because you enjoy looking at them? Do you feel guilty because someone you love gave them to you? Realistically, your loved ones would probably prefer you to be happier than live with a bunch of unwanted ornaments. My attic is tiny, it is just a crawl space but because I don’t need to get these boxes out all the time, that works fine for me. For every 10 or so items in a collection, pick out one favourite. The aim here is to have a Desert Island Disks of your very best things. When you have chosen the cream of the crop, show them off! Allocate one shelf or one surface to keep the chosen ones on and store the rest. Make it a display of gorgeousness, buy it flowers, tend it with love. Ten is an arbitrary number, if you have thousands of something you might need to pick the best of every hundred. You can change your Museum of Me with the seasons or as you feel like it, just like a curator. What is in your Museum of Me?